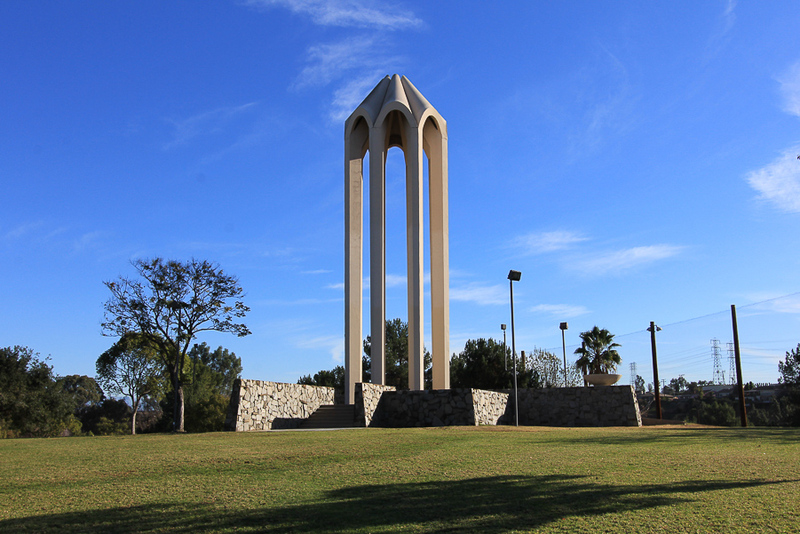 December 16, 2015 - Today we headed east to the city of Montebello to visit a number of sites. 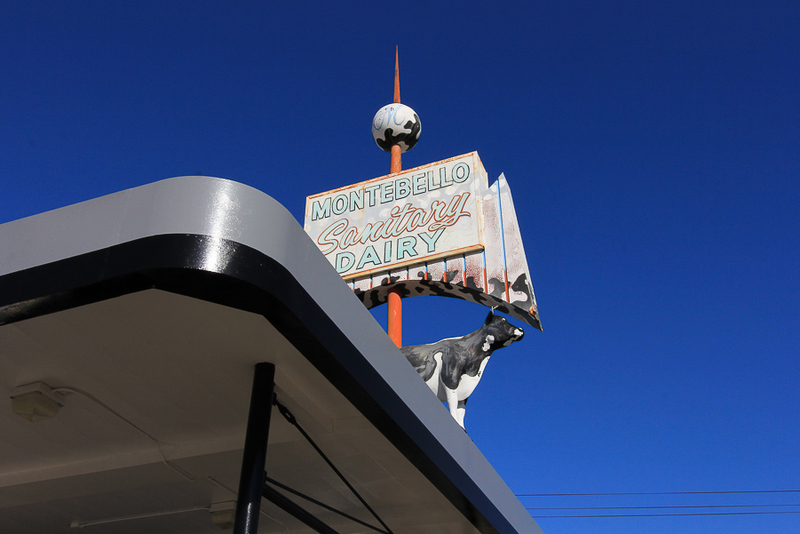 Montebello is Italian for "beautiful mountain." 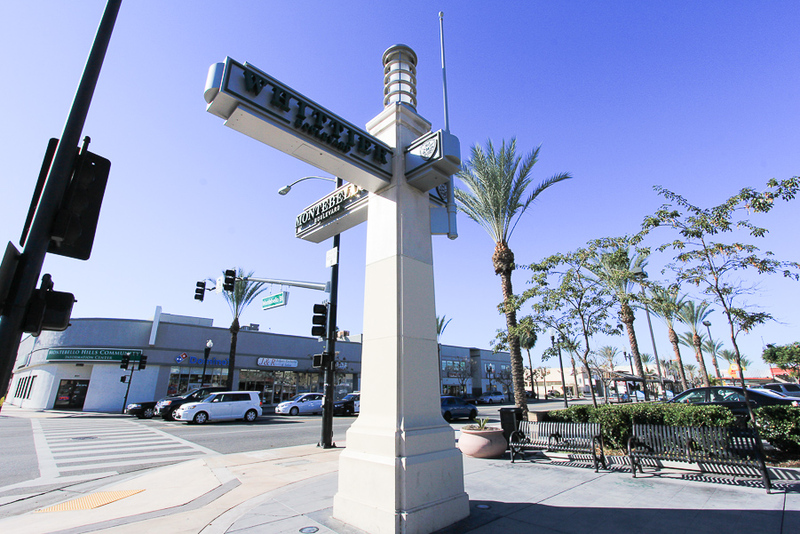 In Montebello, the expression "Main and Main" would be Montebello and Whittier, spelled out in beautiful signage. 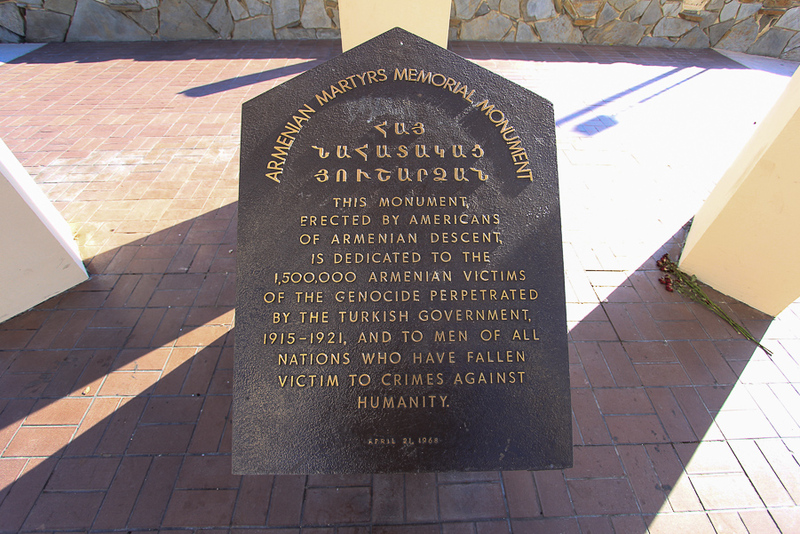 Our first stop was at the Armenian Genocide Martyrs Monument, better known as the Montebello Genocide Memorial. 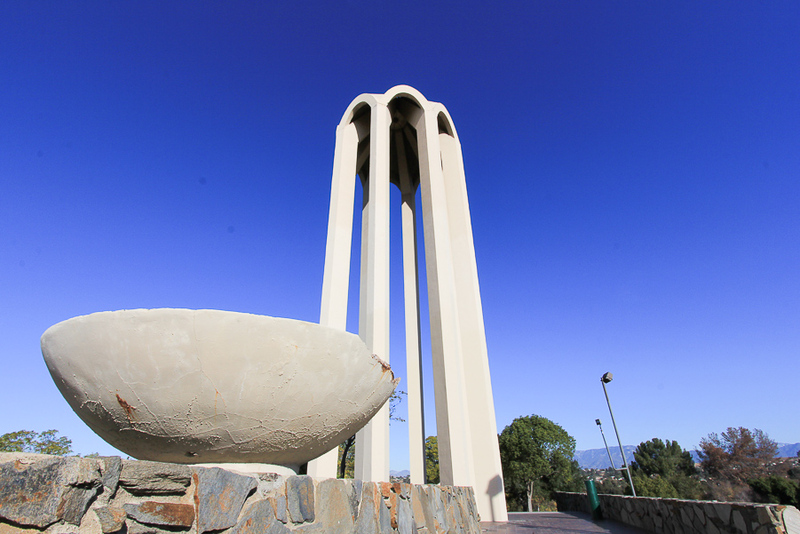 The monument is dedicated to the victims of the Armenian Genocide of 1915 and it was completed in April 1968. 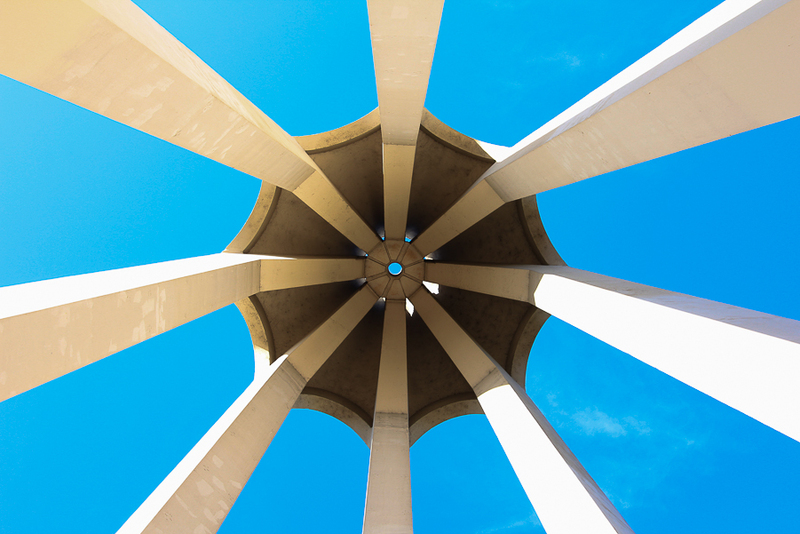 It is a tower of eight arches supported on 75-foot-tall white concrete columns. 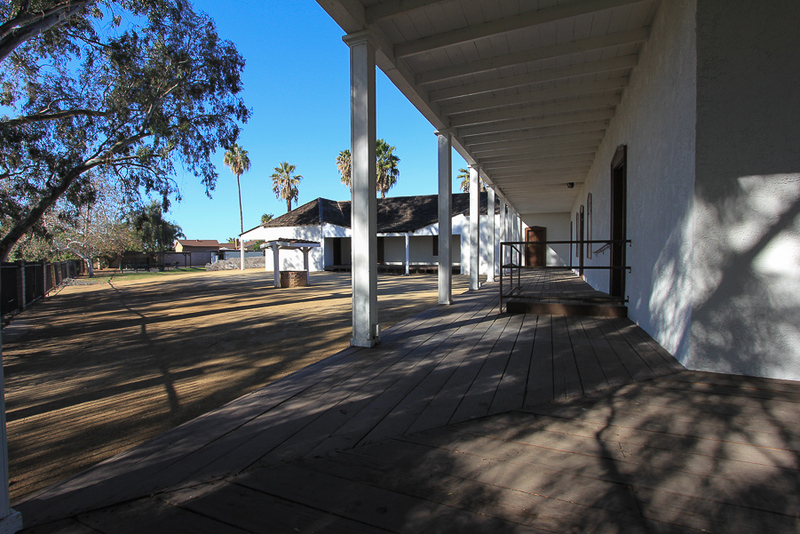 Our second stop was to see the Juan Matias Sanchez Adobe, which still stands at the center of the old Rancho la Merced in Montebello. 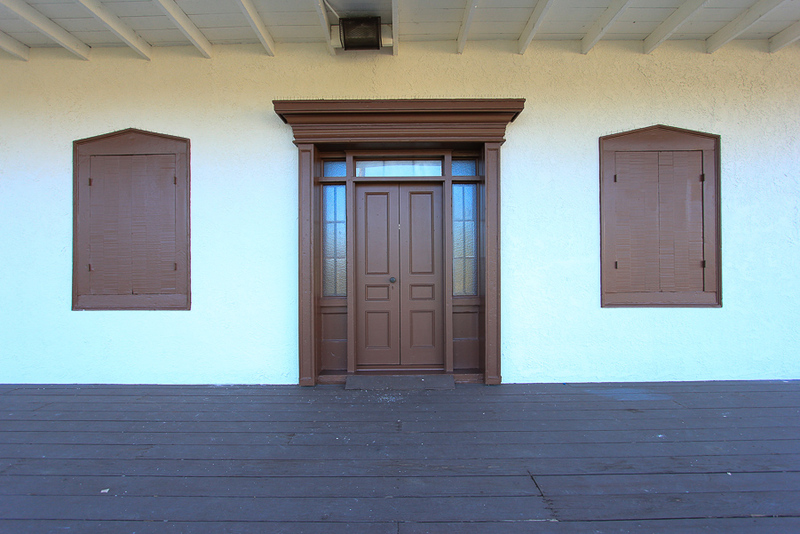 It is the city's oldest standing structure. 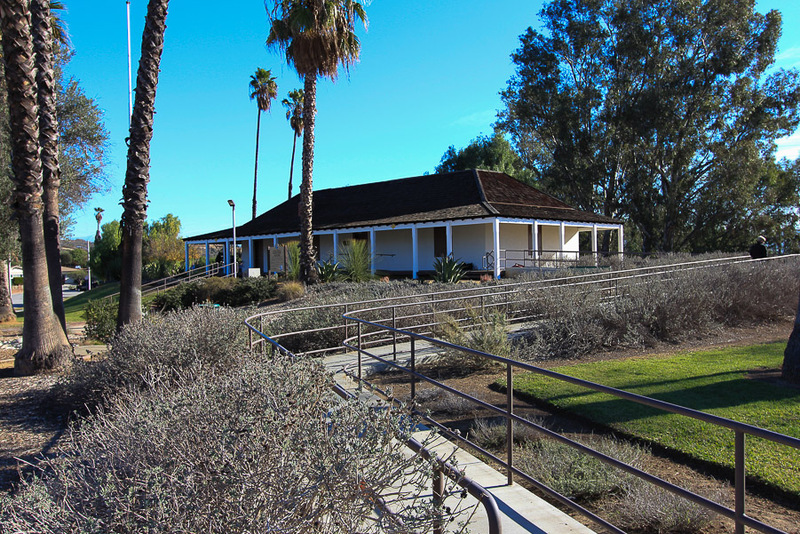 The first grantee of the Rancho La Merced was Dona Casilda Soto de Lobo in 1844 from Mexican governor Manuel Micheltorena. 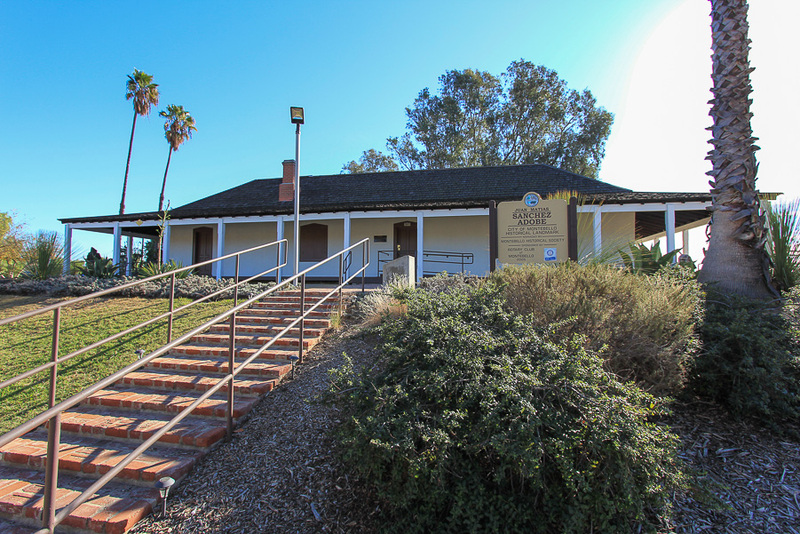 Dona Lobo and her three sons built the adobe in 1845. 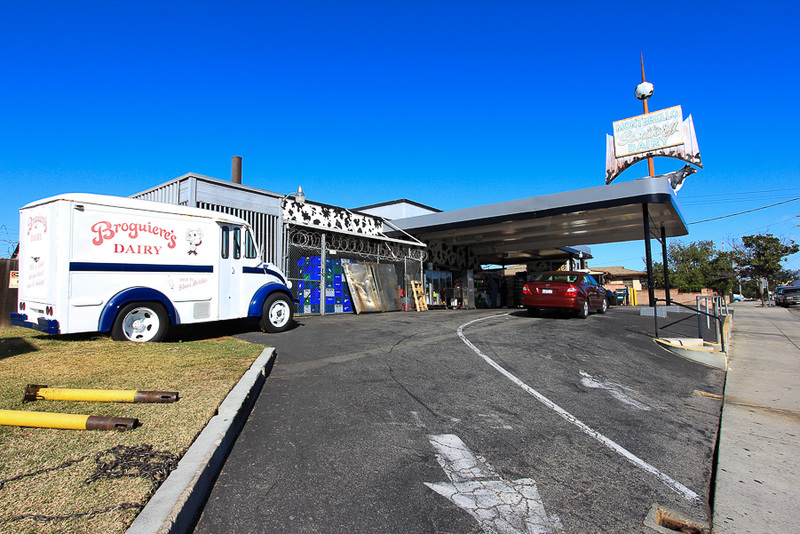 While these two sites were very nice, our main objective in coming to Montebello was to visit Broguiere's Farm Fresh Dairy. 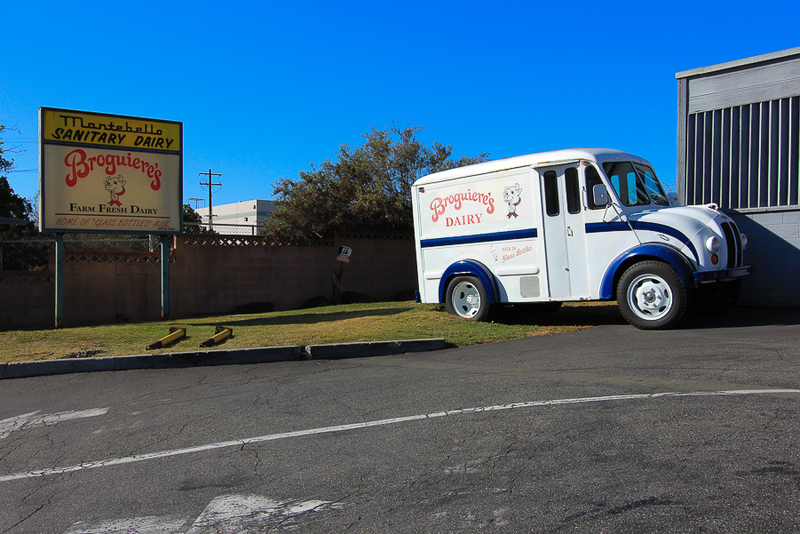 Huell Howser did a show here when it was eggnog season and we had to try it for ourselves. 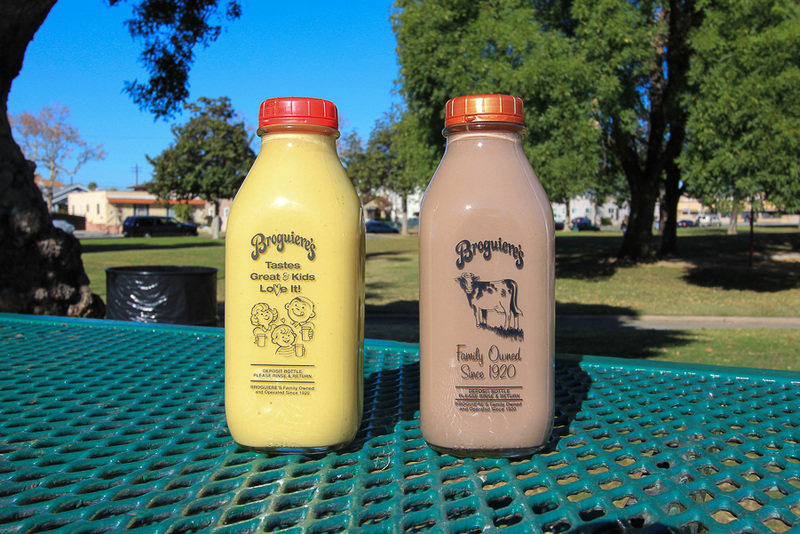 All of their milk products come in glass bottles, so we picked up a quart of eggnog and a quart of chocolate milk. 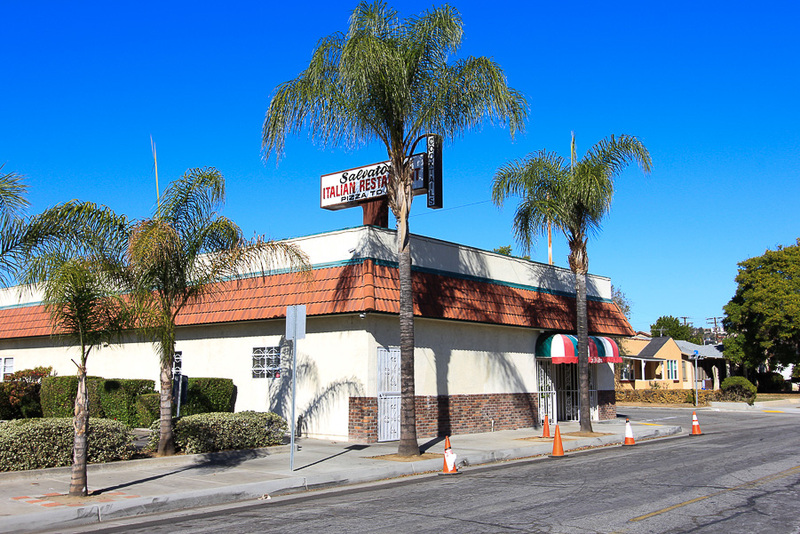 After packing the eggnog and chocolate milk on ice, we headed for lunch at Salvatore's Italian Restaurant, which is right downtown. It's a traditional restaurant and our choices were traditional as well. Sausage and Peppers for Judy and Eggplant Parmigiana for me, paired with a half carafe of Chianti. For dessert it was Limoncello Cake, a mascarpone cream cheese sponge cake with infused limoncello liquor and semi-sweet lemon frosting and a couple of espressos. Yum! 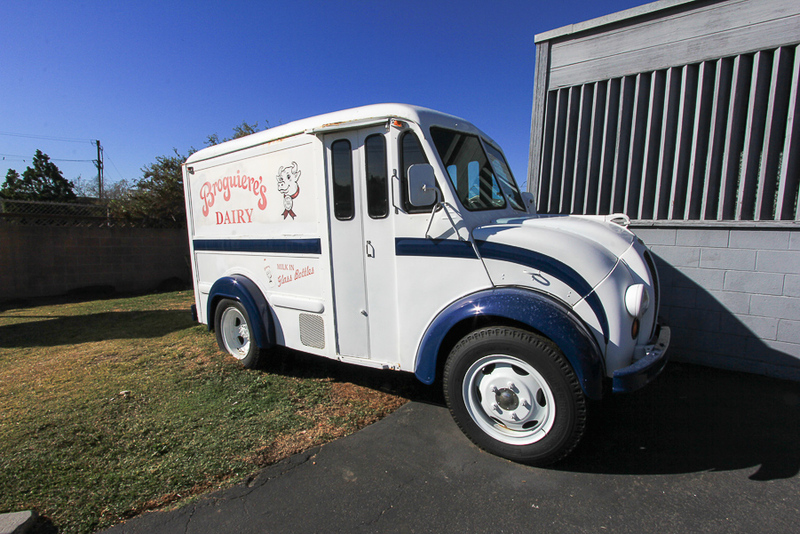 When is the last time you had milk from a glass bottle?